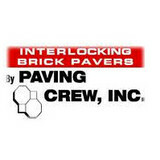 Keyestone Interlocking Paving Contractor, Inc. Since 2003, the owners and staff of our company have helped hundreds of property owners throughout the Suncoast region with their outdoor remodeling needs. As a licensed and insured paving company serving Sarasota, Bradenton, and the Tampa Bay area, you can rely on our staff to meet your specific requirements for residential and commercial projects. When you visit our 5,000 square foot showroom, our custom designers can help you figure out the best options that match your home and personal style. We will show you the many paving options available to you. When it comes to choosing a material that can withstand our tropical climate, pavers are the best choice. You get unparalleled versatility out of this material. Pavers come in many colors, textures, and shapes. You will quickly discover how this reliable and beautiful material will complement any landscape you can imagine. Top That Concrete is owned and operated by Nick Sollogub, a Certified Building Contractor with more than 30 years of masonry experience. 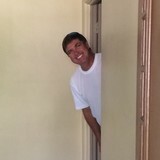 Nick has worked with concrete in all capacities, including pouring and finishing new concrete, building homes, renovations, and additions, and operating as a commercial block contractor. Originally from New Jersey, Nick has proudly served Sarasota and its surrounding areas since 1999. Nick’s reputation as a highly regarded businessman and quality block mason allowed him to a lead a successful block company building homes and other projects in the area prior to establishing Top That Concrete in 2005. Nick founded Top That Concrete to provide home and business owners a solution to tired-looking concrete surfaces. Top That Concrete specializes in providing a durable solution for worn, damaged, stained, and cracked concrete in your choice of textures, patterns, and colors. We can transform your dull and battered driveway, pool patio, walkway, or other concrete surface into a beautiful new finish that will compliment your home’s décor. We offer designer finishes such as hand-cut stone, vinyl chip, and chemical staining at a fraction of the cost of replacement. Our processes cover up the wear and damage caused by years of use and can minimize the appearance of cracks. Interior applications are available for garages, laundry rooms, bathrooms, play areas, and more. There is no longer a need to live with concrete that is an eyesore. Resurfacing your concrete is easy and affordable and will add beauty and value to your home. Top That Concrete is fully licensed and insured. Meet with Nick to determine the best solution for your concrete at a price within your budget. Contact us today for a free written estimate! Accent Masonry LLC is a southwest Florida family owned and operated Masonry business. 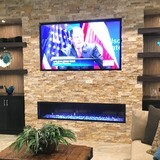 We provide installation services of glass block, brick, stone, custom fireplaces, stone veneers, custom mailboxes, outdoor living areas, pathways and steps. We understand the value of customer service, and referrals. As a small business in the community we strive to surpass and differentiate ourselves from the big box stores - with superior customer service! Give your home the upgrade it deserves with paving work performed by Unlimited Paver Supplies. From retaining walls and driveways to walkways and sinkhole repairs, we do it all. Give us a call today to schedule your appointment. Paradise Pavers employs only the most well versed, well rounded, and expressive paver architects. We provide artistic and inspired design, high quality installation and maintenance for commercial as well as residential projects. Whether it is improving the curb appeal of your home, updating your pool deck, creating an outdoor living space or replacing a commercial walkway request a quote and let us impress you. nvrnmnt, pronounced environment, offers innovative applications for your indoor and outdoor environment furnishings, countertops, integral sinks, tables, benches, planters, etc. Douglas Lackey has been doing specialty concrete for over 10 years and is recognized as forward-thinking and client-focused. He will create a unique environment that is still functional. Our work can range from the traditional to the avant-garde. 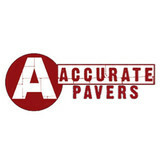 Preferred Pavers & Concrete is located in Sarasota, Fl. We provide installation services for numerous hardscape needs such as concrete pavers, travertine, brick or concrete. Retaining and free standing walls, fire pits, outdoor kitchen areas etc. Attention to detail and customer satisfaction is what we strive to achieve on every project large or small. Environmentally friendly cleaning & sealing of brick paver driveways, patios and pool decks. Quality Stones is a family owned and operated importer and wholesaler of natural stone slabs. Our warehouse is located in Ocala, Fort-Myers, and Jacksonville. We offer the best Eco-Friendly single component sealers on the market. Our sealers are water based and you'll never have to strip again with our sealer. Our sealers protect your pavers from mold, scratches and fading from UV rays. Our sealers are offering 3 + years of protection for pavers and 5 for roofs.Our business is unique because we always put the customers first. We stand behind our products 100% and will always fix any issues anybody has immediately. We're a christian family based company that believes in a good honest product. Gulf Coast Aluminum is a local small business serving clients in Southwest Florida. At gulf coast aluminum we pride ourselves on attention to detail, professionalism, and courteous, friendly service. Our team of aluminum experts can handle any task related to your pool cage, screen room, front entry way, or other aluminum structure. "Beautifying your home one paver at a time"
From installing new exterior columns to repairing your chimney, masonry contractors can help you add both visual appeal and value to your property. They’ll know what kind of installation makes the most sense for your Tice, FL climate and regional style. Looking for something that will develop a patina with time? Or would you rather have your home feel brand new for years to come? Choosing the right kind of stone involves thinking about the future, too. Experienced brick suppliers and stone suppliers can help you find the material that will work for your home now and for years to come. These professionals aren’t limited to exterior work either. Whether you want a split-stone granite wall in the kitchen or need help installing traditional brick masonry on your fireplace facade, you’ll want a professional to get it right. If you’re already working with an architect or designer, he or she may be able to suggest a good Tice, FL subcontractor to help out. Here are some related professionals and vendors to complement the work of stone, pavers & concrete: Landscape Architects & Landscape Designers, Architects & Building Designers, Garden & Landscape Supplies, Driveways & Paving, Siding & Exteriors. Find stone, paver and concrete professionals on Houzz. Search the Houzz Professionals section for Tice, FL stone, paver and concrete professionals. Browse photos and read reviews, and contact a pro if you like their work.